as one of the top 10 piano teachers in Oakland. 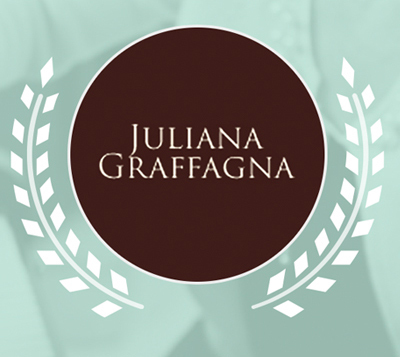 Juliana Graffagna Voice & Piano Lessons is a private music studio offering voice and piano lessons in a variety of styles including folk, pop, and Eastern European music. Juliana Graffagna of Juliana Graffagna Voice & Piano Lessons strives to teach vocal students ear training, performance skills, chest-voice technique, healthy singing habits, breath support, sight-singing, ensemble skills, and songwriting. Juliana Graffagna's piano students study music literacy and sight reading, musicality, relaxation and therapy, technique, practice methods, improvisation, theory, and composition. Juliana Graffagna has been a semi-professional vocalist for over 30 years, and a voice teacher for 15 years. Juliana Graffagna’s goal is to help create a personal, engaging, joyful, and relaxed yet challenging experience for students to help learners develop a love relationship with the music they are creating.